Sept 30, 2015 - We have a special guest joining us tonight to provide an analysis on the historic Justice Is Not For Sale Act submitted by Bernie Sanders on September 18th. Our guest is Nekima Levy-Pounds. The Abolitionist Attorney. An award-winning professor of law, civil rights attorney, and a nationally recognized expert on a range of civil rights and social justice issues at the intersections of race, public policy, economic justice, public education, juvenile justice, and the criminal justice system. Professor Levy-Pounds also serves as a consultant to various civil rights groups, business entities, public policy organizations, academic institutions, government agencies, and nonprofit organizations. She also serves as the chair of the Minnesota State Advisory Committee to the U.S. Commission on Civil Rights and is the co-chair of Everybody In, a regional collaboration of over 40 stakeholders across different sectors working to close the racial unemployment gaps in the region by 2020. • We’ve helped expose this crime and today we report a victory. Whole Foods has announced it will stop using their prison labor program after multiple protests around the country and a barrage of negative media coverage from national news outlets. • In a constant miscarriage of justice In 2014 there were 700,993 arrests for marijuana in the United States. That's one every 45 seconds. That's also 7,000 more than the last year, with nearly 90 percent of those arrests for simple possession. • This week it was announced that Oregon will be expunging the old records of marijuana offenders, along with their new legalization plan. It’s a tricky deal and we’ll tell you how. • Members of the Florida Republican Party conducted a secret meeting to lay out a plan to unseat Congresswoman Corrine Brown through redistricting. The plan – spearheaded by Florida State Rep. Janet Adkins – would pack inmates/felons who are ineligible to vote into the 5th Congressional District. As lawmakers and GOP activists in the meeting were secretly plotting against Brown, they were also secretly being recorded. We’ll play it for you tonight. • This week’s Rider of the 21st Century Underground Railroad is Reginald “Reggie” Griffin, 53, was sentenced to death for the July 12, 1983 stabbing of James Bausley in a yard at the Moberly Correctional Center (then known as the Missouri Training Center for Men). In August 2011, the Missouri Supreme Court vacated Griffin’s conviction after finding the state had withheld evidence related to another prisoner who was likely involved in the murder. The charges were dropped in October 2013 after prosecutors indicated they did not have sufficient evidence to convict him. 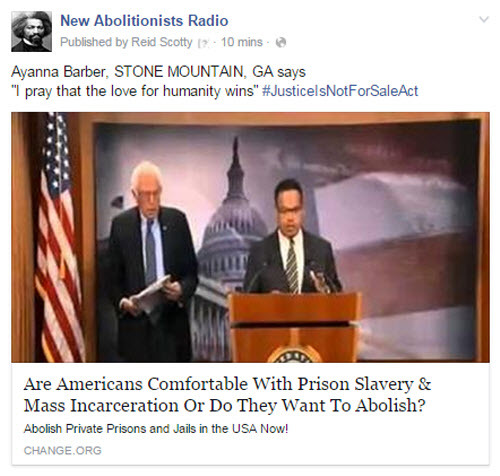 Are “Americans” Comfortable With Prisons For Profits & Modern Slavery? On the anniversary of the passing of The Fugitive Slave Laws, Senator Bernie Sanders released legislation to ban private for profit prisons from the US. The “Justice Is Not For Sale” Act. 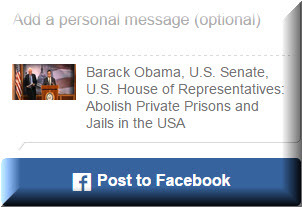 The 1st presidential candidate or sitting president to have done so since the birth of privately owned corporate prisons some 45 years ago and the 1st to try and legislatively end the practice of selling people on the open market since Abraham Lincoln. We consider this a major victory in our efforts to end modern slavery in America. You’ll hear about to hear it word for word in a moment. 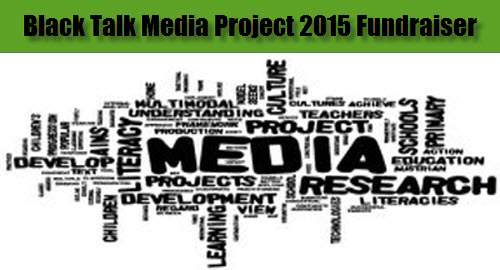 • We have a clip from an interview with Noam Chomsky that we want you to hear. It helps explain why we need such legislation and we need it now. • Similar to the Annie Duhkan case Hundreds of criminal cases in Oregon are being reevaluated after accusations that forensic analyst Nika Larsen of the Oregon State Police Laboratory stole drugs she tested. We’ll give you the info. • A car chase turned deadly in Northern San Bernardino on Friday, when police shot and killed an unarmed man from a chopper. Yes. Like Mutual of Omaha. Like a big game hunter. We’ll share the story later. • In what we consider another abolitionist victory, a delegation of the human-rights arm of the Organization of American States received an earful Monday from alleged victims of police abuse in Miami-Dade County, during the first leg of a fact-finding mission into racial discrimination and police violence in the U.S.
• We skipped it last week so let me ask again. What state did not actually ratify the flawed 13th amendment until 2013? What states longest running commissioner of prisons facing prison himself for using the entire states corrections system as his own personal money maker? What state has had federal judges call their juvenile detention centers “Cesspools of unconstitutional violations?” Where were the very last plantation chattel slaves in America freed from? The answer is Mississippi. Tonight we show that Mississippi is #Ferguson. • This week’s Rider of the 21st Century Underground Railroad is Michelle Dawn Murphy who was 17 years old when she was convicted of first degree murder involving her own child in November 1995. She was freed in May 2014 based on DNA evidence and was exonerated four months later when Harris declined to retry her because of insufficient evidence. • Our Abolitionist in profile is Anna Murray Douglass (1813-1882) who is best known as the first wife of black abolitionist Frederick Douglass. Expect all of that and more tonight on New Abolitionists Radio. • This week’s Rider of the 21st Century Underground Railroad is Bobby Johnson. A 16 year old boy with an IQ of 69 against a homicide detective who claimed a 100% success rate framed him and forced him into a confession. In July 2007, Johnson pled guilty to murder and was sentenced to 38 years in prison. On September 2, 2015, New Haven State’s Attorney Michael Dearington filed a motion to vacate Johnson’s conviction after it was found that critical evidence had been supressed. On September 4, 2015, the motion was granted, the charge against Johnson was dismissed and he was released. • Our Abolitionist in profile is Reverend James William Charles Pennington. 1807 – 1870. Educator, clergyman, orator, author, and abolitionist. 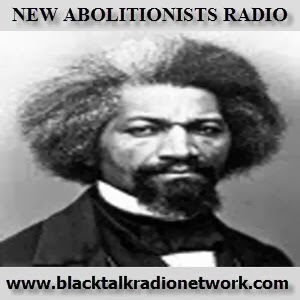 New Abolitionists Radio seeks to educate listeners to the glaring fact that slavery was never abolished and is still practiced by the state and federal governments constituting the United States of America along with multi-national corporations. • The Black Lives Matter movement is facing a string of concentrated ad hominem attacks. We’ll question why this is so from an historical and abolitionists perspective and offer our opinions. • Brooklyn’s own freedom fighter Brooklyn DA Ken Thompson is at it again. The Brooklyn district attorney’s office has found a smoking-gun email that blows up a senior prosecutor’s sworn claim that for years she couldn’t find a key piece of evidence in a murder conviction that was being appealed. Because that Ruddy Quezada, who has served more than 23 years in prison may gain his freedom. • Jamycheal Mitchell, arrested by police in Portsmouth, Virginia, has been found dead in jail after spending almost four months behind bars without bail for stealing groceries worth $5. We’ll talk about the details. 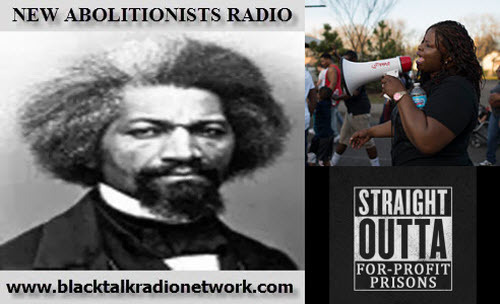 • In a new article Ring Of Fire Radio said: "For the tycoons who have invested in the prison industry, it has been like finding a pot of gold. They don’t have to worry about strikes or paying unemployment insurance, vacations or comp time. All of their workers are full-time, and never arrive late or are absent because of family problems; moreover, if they don’t like the pay of 25 cents an hour and refuse to work, they are locked up in isolation cells." The new abolitionists will expand on this phenomenon of prison slave labor. • As of late we’ve seen right wing racist media parade out their champion slavecatcher Sheriff David A. Clarke, Jr of Milwaukee, Wisconsin as an “expert” and a mouthpiece for white supremacy. We’ve had to do this before and we’ll do it again. Let’s talk about Sheriff “black lies matter” and his city of Milwaukee. • This week’s Rider of the 21st Century Underground Railroad is Jeff Mizanskey of Jefferson City, MO. After 21 years behind bars for a marijuana-related crime, Jeff became a free man Tuesday. 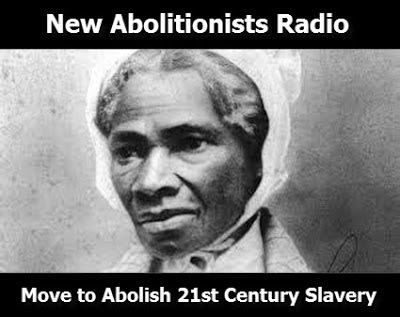 Expect all of that and more tonight on New Abolitionists Radio. New Abolitionists Radio seeks to educate listeners to the glaring fact that slavery was never abolished and is still practiced by the state and federal governments constituting the United States of America along with multi-national corporations.